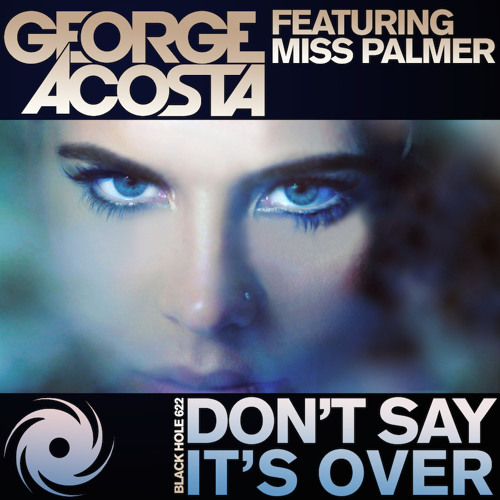 DOWNLOAD HERE : http://bit.ly/_dontsay Black Hole 622-0 George Acosta featuring Miss Palmer - Don’t Say It’s Over 1. Original Mix // 2. Kim Fai Remix // 3. DJ Exodus, LJ MTX & Jason Risk Remix // 4. Gerry Cueto Remix // 5. Happy Enemies & Eran Hersh Remix // 6. Radio Edit // 7. Kim Fai Radio Edit George Acosta teams up with songstress Miss Palmer for his brand new release on Black Hole Recordings. ‘Don’t Say It’s Over’ is a pumping progressive house track, that’ll rock the dance floors. The complete package can definitely be called elaborate, as it includes remixes by Kim Fai, DJ Exodus, LJ MTX & Jason Risk, Gerry Cueto and Happy Enemies & Eran Hersh. All great music reaches into your very soul, captures the mind and touches the heart. It can tell a story, take you on an incredible journey and target many different types of emotions. Music such as this can only come from the hard work of a great artist, an artist such as George Acosta. With over 20+ years of experience as a DJ and Producer, George can certainly be considered a driving force in the dance music industry. He is one of the few original EDM artists that has managed to keep up with the evolution of dance music, reinventing himself and coming on stronger each and every time. Alyssa Palmer, best known as Miss Palmer, has been singing all of her life so it was no surprise she would study audio production in college and start a career in the music industry. In addition to songwriting and recordings vocals, Alyssa regularly takes place behind the turntables for her own sets and for surprise appearances at some of the hottest clubs. After collaborations with Steve Aoki, Afrojack, Tony Arzadon, and Laurent Wolf, planting her name firmly into the EDM grounds, it’s now time for a collaboration with George Acosta.